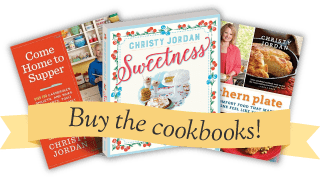 Creamy and delicious Ambrosia Salad is one of those classic dishes that shows up at just about all Southern gatherings and holidays. With spring upon us and Easter coming up, Southern tastebuds are turning to fruit and salads! Today I’m sharing with you our recipe for Ambrosia, which is a classic Southern fruit salad. There are many different ways of making this but we like to be flexible and use a mix of fresh and canned fruit to make this a convenient salad to whip up anytime of year. This Ambrosia salad is so creamy and delicious! I hope you get to try it soon. Place the pineapple juice in a small bowl and add in the chopped apple. Stir to coat and set aside. Place the sugar and sour cream together in a large bowl and stir until well combined. Drain the apples (discard juice) and add them and all other ingredients to the sour cream mixture. Stir well to combine. Cover, and refrigerate several hours before serving. Taco Tot Casserole & What is one thing your grandparents did that you could never do? 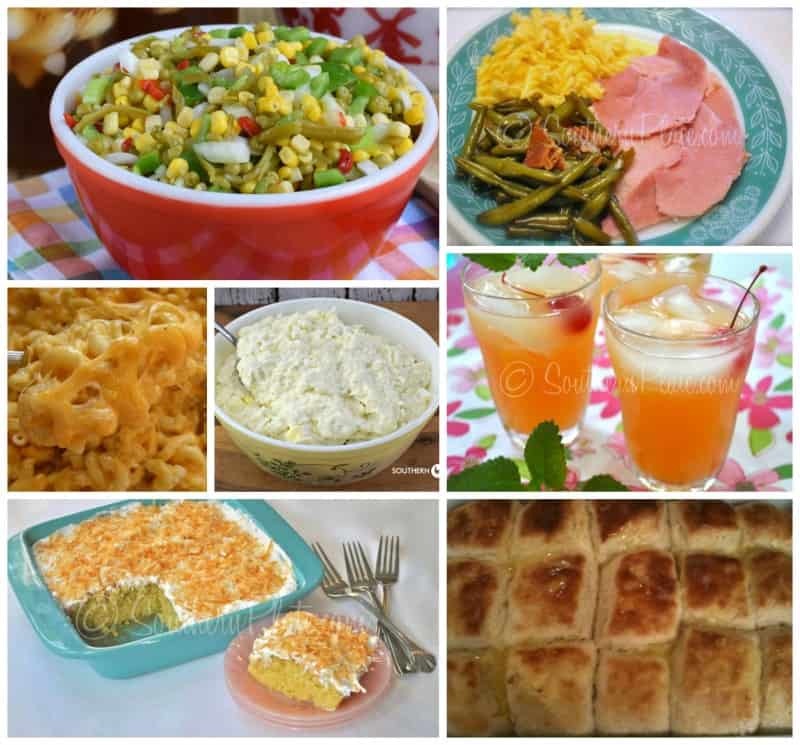 I used to help my Nanny make ambrosia for Christmas every year when I was little. Great memories! I’ll have to try it, it looks delicious, just like all of your recipes. My daughter loves Ambrosia! Thank you Kelly, I hope you get the chance to make it soon!! I haven’t had Ambrosia salad for a long time. I can’t wait to make and enjoy this delicious salad!! I haven’t made it eaten any since my Poppy died in 1975. He always made it cutting every orange, everything that went it it to perfection. Man, how I loved it with a big ole dollop of sweet cream on top. Nobody’s will be the same. My Poppy made the best. I can’t bring myself to even try any. My friend such sweet memories but I feel your Poppy would be watching you from heaven making sure you cut everything just as he did and you watched. Now he will be watching you! Please honor him by making this for your family and showing the next person “how he” did his fruit cutting! I hope you get the chance to soon Sandie!! 🙂 I like the way you think Kathy!!! This sounds delicious! I will be making it for Easter this year, Thank you so much for sharing your recipe. I hope everyone loves it!!! 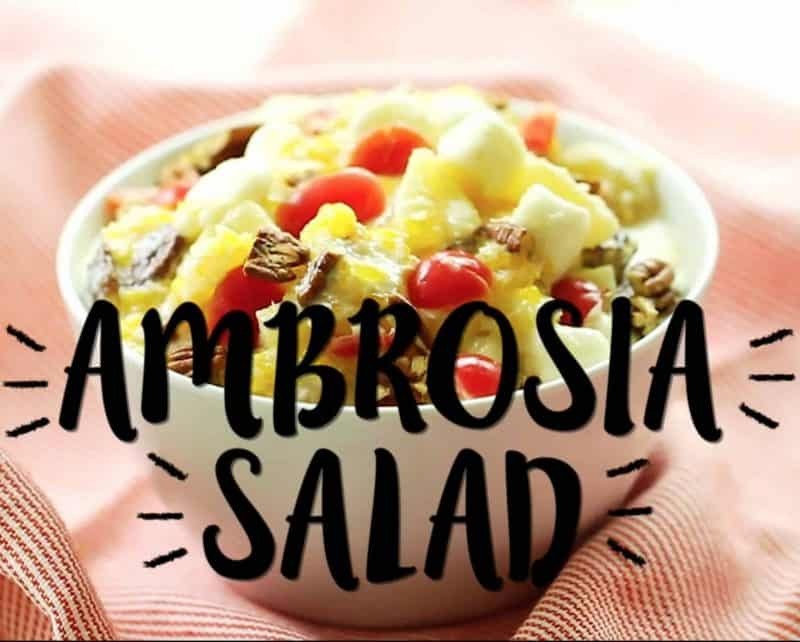 Love Ambrosia salad! Haven’t made it in years though. Thanks for the reminder. Think I’ll be adding it to our Easter menu. Just in time for our ladies’ ministry meeting next week…thanks!! I like the way you think Debbi!! I would have had to do the same thing! Love this salad anytime of the year , now just looking at the picture makes me want some , thank you for posting this wonderful recipe. 🙂 I hope you get the chance to make it soon!!! This looks delicious and I am going to try your recipe. I don’t see servings listed and just want to ensure I have enough. Do you recall off-hand? Thanks very much! I have made this and it is really good. We enjoyed it. Hi Christy. Long time, no talk. I hope you ate having a blessed day. I’m making this for my Dad for Father’s Day and I knew I could find a sensational recipe on your site. Hey Jackie!!! I hope all is well with you and you had a wonderful day with your dad!! Blessings!